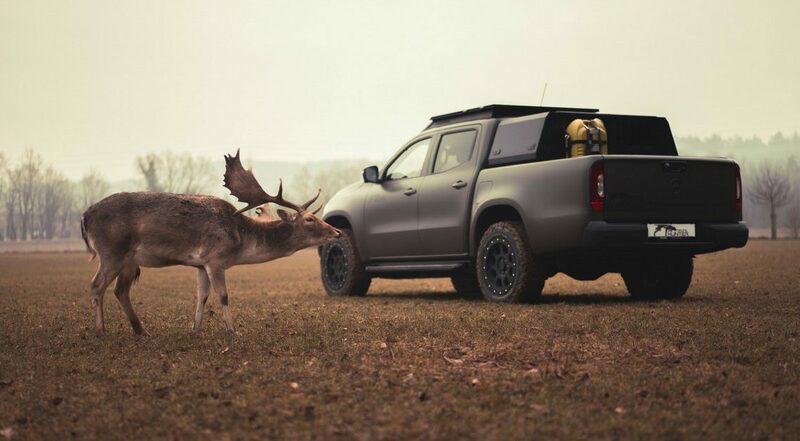 The Gruma Automobile-modified Mercedes-Benz X-Class is a genuine hunter. Even the pick-up’s paint has been modified to suit the wild. The vehicle has been transformed into a huntsman by the German aftermarket shop. 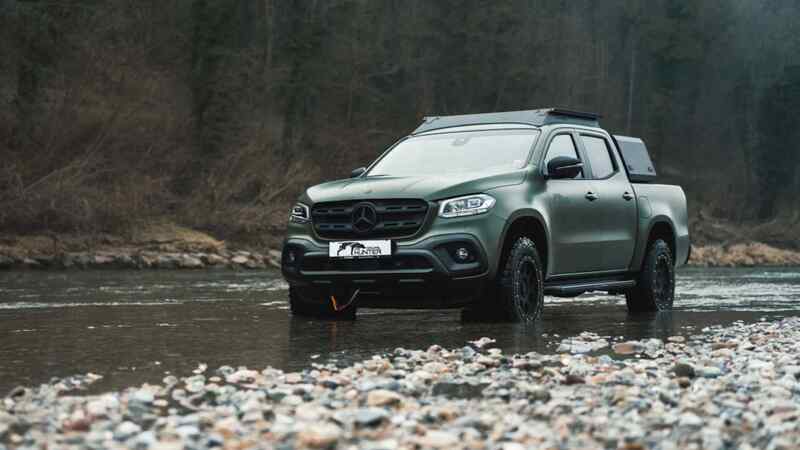 The Mercedes Gruma Hunter X-Class gets Bollards alloy wheels, a front bar, a side bar and a roll bar, to demonstrate that it is a “go anywhere” vehicle. 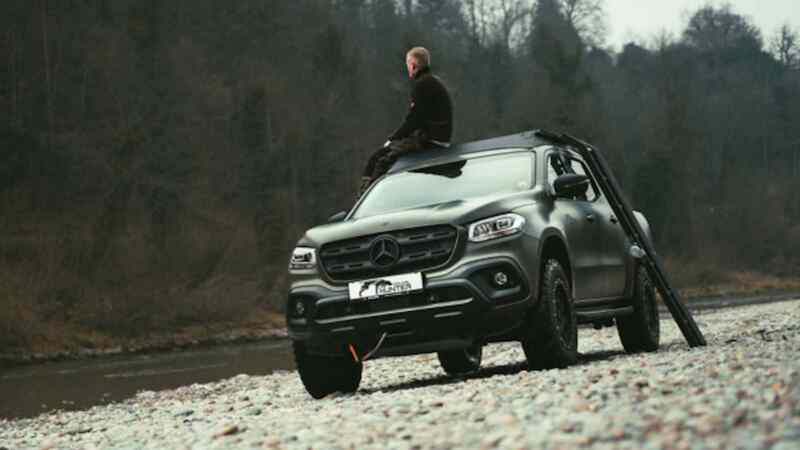 The adventure-ready vehicle is also equipped with an underside protection and with a tachogenerator. A dog crate is also available, since the hunter is not going hunting by himself, but accompanied by his four-legged friend. There is also a rifle compartment mounted on the tailgate, together with an Aqua2go Pro cleaning unit and a Lazer Lamps Utiliy-80. The roof is able to withstand the weight of the hunter, since it can be used as an elevated platform for better visibility. The aftermarket shop lifted the vehicle a little more from the ground and put a front-end winch, just in case it gets stuck in the mud. There is little chance for that to happen though, considering that the pick-up truck also received especially-designed off-road tires and custom wheels. The German shop Gruma Automobile can cover the X-Class in anti-reflective camouflage or Matte Green and is ready to provide information on price upon request.